From the elegant brownstones of Brooklyn to the chilly pavements of Montreal, my study tour of North America was an illuminating insight into how oral history and radio connect us through the sharing of personal stories. At the Brooklyn Historical Society, on the twentieth anniversary of the Crown Street riots between Hasidic Jews and West Indian and African-American communities, curator Sady Sullivan was developing the Crossing Borders, Bridging Generations project, which explores ‘mixed-heritage families, race, ethnicity, culture, and identity’. Although the demographics and history of Brooklyn are very different from here, she found resonances with my research into mixed marriage and sectarianism between Catholics and Protestants in Australia, published as an ABC radio documentary, Marrying Out. It was a thrill to learn that my experiences of interviewing were part of a training course in cross-cultural research at BHS. At Harvard, while students lounged about the famous square and a boisterous group sang Happy (375th) Birthday to its founder, more synergies became apparent. 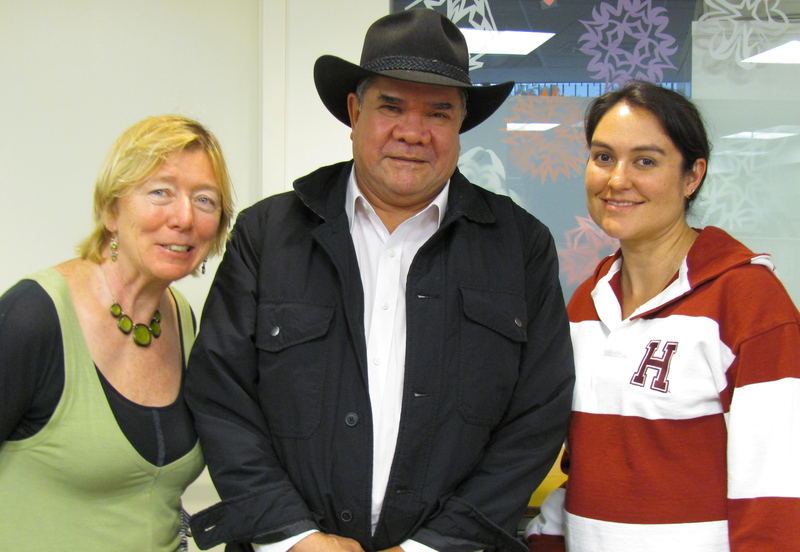 At a seminar hosted by the Harvard University Native American Program and chaired by Professor Mick Dodson, the visiting co-Chair of Australian Studies, I played the voices of Indigenous Australians I had recorded in the West Kimberley. Native Americans listened sympathetically as they described being taken from their mothers as toddlers to be reared by Catholic nuns, losing not only their family but their language and culture. The suffering of the Stolen Generations is well documented in the Bringing Them Home Report (1997) co-authored by Mick Dodson. But even he was shocked by the conditions endured by Native Americans. In the Smithsonian Museum in Washington D.C., we read about the Chiricahua Apache nation, several hundred of whom – men, women and children – were removed from their lands by the US military in 1886. Some remained official ‘prisoners of war’ for 28 years. In Washington, I visited the sombre Vietnam War memorial wall, and the memorial to the military nurses, discussed in my book Minefields and Miniskirts, an oral history of Australian women’s roles in the Vietnam war. That book was reviewed in the US by Donald A Ritchie, a prominent oral historian. Don’s day job is as US Senate Historian. So it was an extraordinary privilege to be escorted round the Capitol by Don, who has worked there since 1976, and recently edited the transcripts of the infamous Senator Joe McCarthy trials. 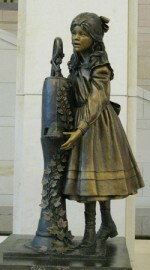 Amidst the splendid statues of former US presidents, he pointed out a bronze sculpture of Helen Keller, unveiled in 2009 by then Governor of Alabama, Bob Riley. Don wondered if the very conservative Riley knew, as he praised the deaf and blind woman’s resourcefulness, that Keller had gone on to become a radical activist who championed the causes of women’s suffrage and workers’ rights. The crafting of oral history for radio documentary so as to harness the affective power of voice, was a major theme of presentations I gave at places as diverse as Boston University, Concordia University’s Centre for Oral History and Digital Storytelling in Montreal, and the impressive Centre for Documentary Studies at Duke University, set in a classic Southern Mansion complete with white rocking chairs on the porch. 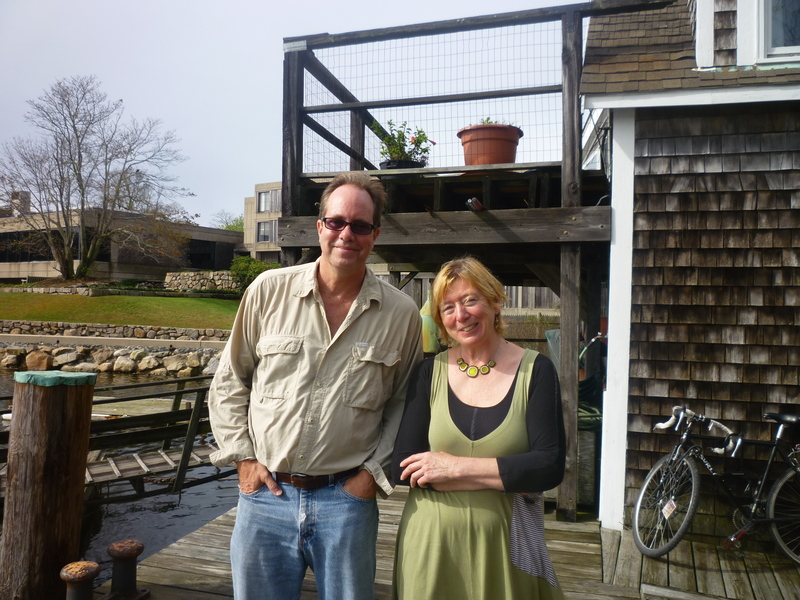 My favourite was my talk to rookie radio makers at Woods Hole on Cape Cod, the small and charming town that is the unlikely site of the oceanographic institute that discovered the wreck of the Titanic. It is also home to Transom, a visionary public radio showcase established by the indefatigable Jay Allison, who invited me (and luminaries like This American Life’s Ira Glass) to share their passion for the medium. Jay is a True Believer in the importance of radio to serve and connect the community; over four decades, he has pioneered numerous broadcasting initiatives, from the airing of early documentaries on child sexual abuse to his current public storytelling event, The Moth, lauded in the Wall Street Journal. 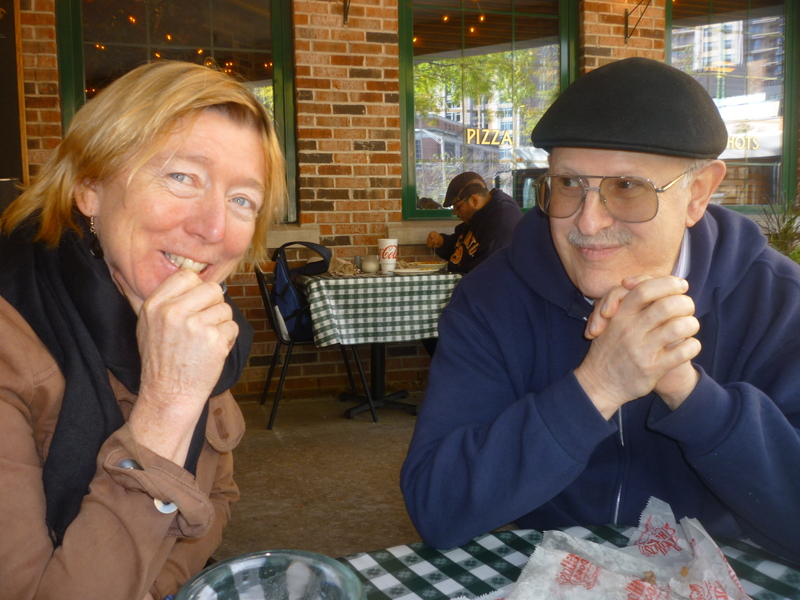 It was a delight to engage with such a kindred spirit – my interview with Jay and others will feature in a forthcoming book (2013). The trip ended, fittingly, in Chicago, with a homage to Studs Terkel, whose 9,000 oral history interviews are being digitised at the Smithsonian. There I met Studs’s son Dan, at the home where Studs crafted his mesmerising tomes of American life, which revealed the ‘precious metal’ he sought to divine in everyone he met. A burglar broke into this very living-room late one night, Dan told me, and was surprised to find the sofa occupied by Studs’s ailing wife, Ida. Studs was sleeping in a chair alongside, to watch over her. He readily handed over his wallet and the burglar made to go. Then Studs politely asked the intruder if he could lend him $20 from the wallet, to buy Ida’s medicine next day. Taken aback, the burglar handed over the money. As he headed for the window, Studs intervened and cordially escorted him out the front door. Studs’s interviews were driven by sheer fascination with the human condition. His gravestone, he once remarked, should be inscribed ‘curiosity never killed THIS cat’. In the end, Studs dispensed with any gravestone, preferring to have his ashes co-mingled with those of his beloved Ida and buried at the Chicago equivalent of Speakers’ Corner, known as Bughouse Square. After Studs’s death in 2008 at the age of 96, Dan placed his parents’ ashes in an unmarked spot in the park. It seemed an entirely appropriate place to end a trip that celebrated the politics of connection and the democratising power of voice.